In my list of priorities for the Texas Legislature, Priority Six involves the Department of Public Safety, DPS, in a couple of ways. Beginning with border security, we should continue to fund enhanced police presence related to the border, drug and human smuggling, and the crime associated with such. Both House and Senate preliminary budgets do this with the house proposing $782 million and the Senate $803 million. This is good but there also needs to be some form our outside accountability audit done now that we’ve funded this massive border build-up for a number of years. 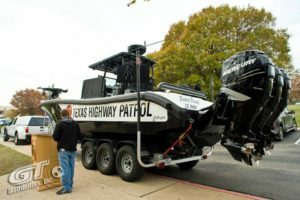 We need to know that it is effective and that DPS is spending the money wisely, not just using it to fly more helicopters around, or showing off Rio Grande gun boats, for the sake of flying or showing off. The second big issue we should be watching now, not later when it’s too late, is the issue of DPS having relaxed training, and possibly lowered standards though they claim not to have, to gain recruits during the massive build up funded by border security concerns.